A man stands in the door of a wooden house, resting one hand on the doorframe and looking out. Two steps lead up to the door and a vine grows up the side wall almost reaching to a window. Two lines, possibly clotheslines, are attached to the house near the door. 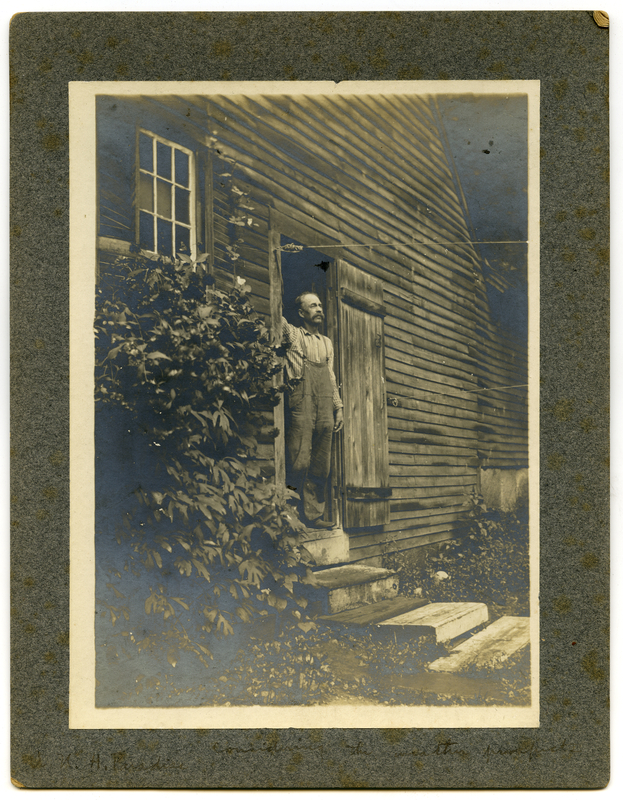 Johnson, Clifton, 1865-1940, “Considering the day's weather,” Digital Amherst, accessed April 24, 2019, http://digitalamherst.org/items/show/3556.